The booming capital of Iceland, Reykjavik, was the place for the second clustering project Northern-European Energy Cluster (N-EEC) event. Hosted by the Icelandic National Energy Agency Orkustofnun, an open seminar on Thursday October 4 was a success. A total of 20 key energy experts and stakeholders attended the seminar which included 10 presentations by speakers from Iceland, Finland, Sweden, Norway and Ireland. 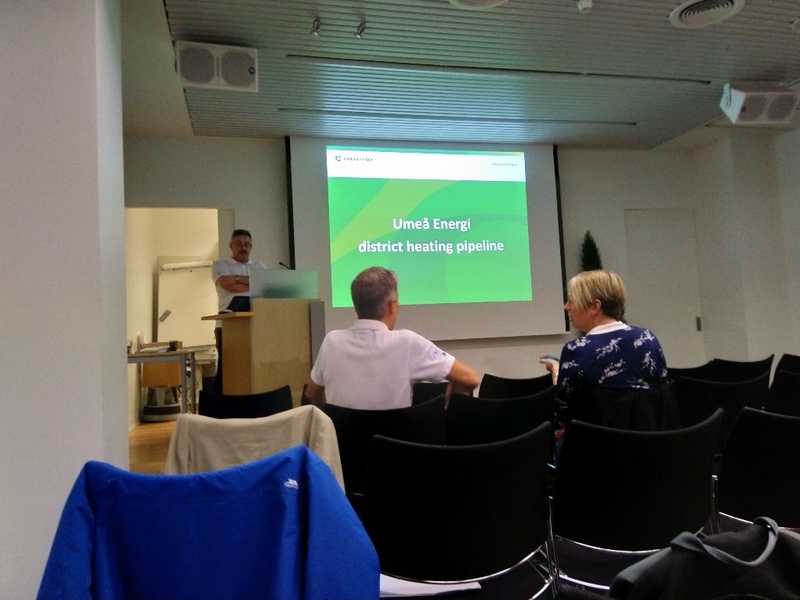 Experts from research, education, industry and government focused on energy efficiency in buildings, district heating and heat pumps in their presentations. N-EEC project will continue by arranging three more events during 2018-19 , one in each site: Cork (Ireland), Umeå (Sweden) and Alta (Norway). The event was supported by N-EEC project which is a joint dissemination effort with three European development projects: Energy Lighthouse Cities in the NPA Region (e-Lighthouse), Increasing Competence in Northern Building and Construction (ICNB) and Renovation Center - A Nordic Center for Energy Efficient Renovation (RC). In addition, a fourth European project, visiting H-CHP (funded by NPA), presented their actions. The elighthouse project will support actions that increased energy efficiency in buildings and increase the uptake of renewable energy, thus decreasing carbon dioxide emissions. © 2016 elighthouse, All Rights Reserved.